There is no better feeling than sinking into a luxurious bed after a hard day’s work, and that’s the sensation that Gainsborough strives to achieve. 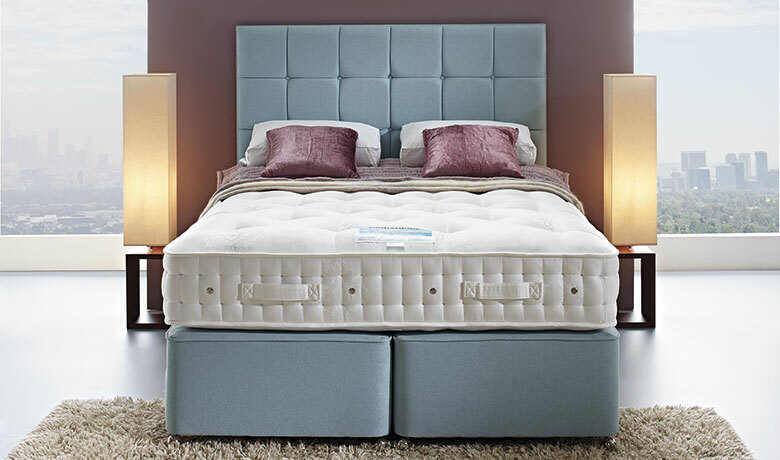 The focus has always been on the pocket spring as the perfect foundation for our mattresses. Add to this, sumptuous layers of the finest materials including cashmere and silk and you can understand how we have built our reputation for quality and comfort. For over 30 years, Gainsborough has built strong partnerships with many of the most well-known furniture retailers in the UK. We have never forgotten our independent retailers however, and we continue to provide total commitment to them across the UK. Before Gainsborough started making sofa beds nearly 30 years ago, there were very few good quality sofa beds available. A sofa bed was, at best, either a good sofa with a poor sleeping experience or a reasonable mattress sitting underneath an extremely uncomfortable sofa. We decided we could do better – and so we did. Using the best mechanism on the market, combined with extensive development, we have produced sofa beds that are exceptionally comfortable both as a sofa and as a bed. bed. For this we were delighted to be awarded Interior Monthly Magazine’s award for innovation of the year. are featured in some of the finest international hotel chains.